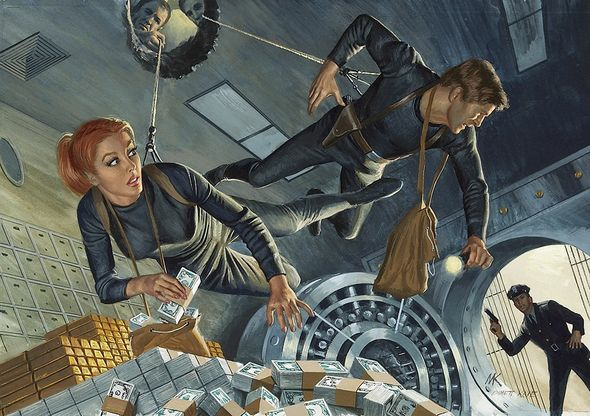 Mort Kunstler Handsigned and Numbered Limited Edition Giclee on Paper:"Do-It-Yourself Bank Robbers"
Edition: Artist Signed and Numbered, Limited Edition to 95. COA included. About the Art: This painting was done in 1966 for Magazine Management. It appeared on the June 1966 cover of For Men Only for the story New Crime Wave: The Do-It-Yourself Bank Robbers.